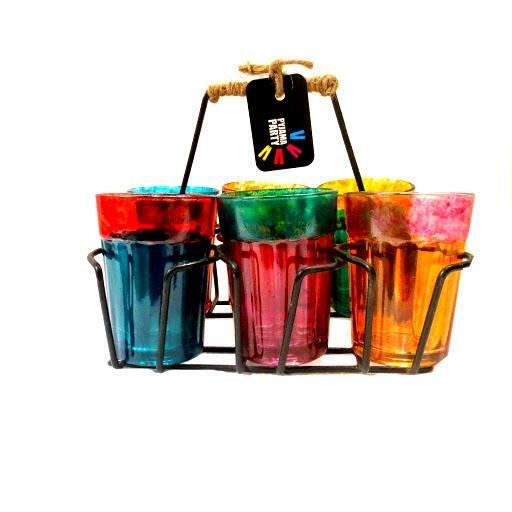 "Sip ‘garma garam chai'[pipping hot tea] from Pyjama Party’s funky range of cutting chai glasses,if chai is not your thing these little babies can double up as pretty,colorful shot glasses or tea-light candle holders! 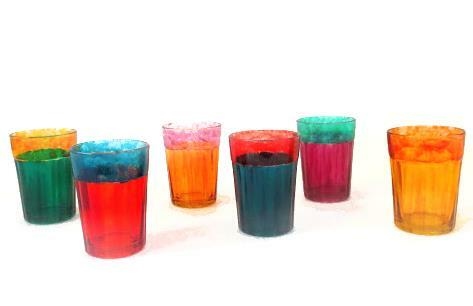 !Sip, guzzle or light them up!! 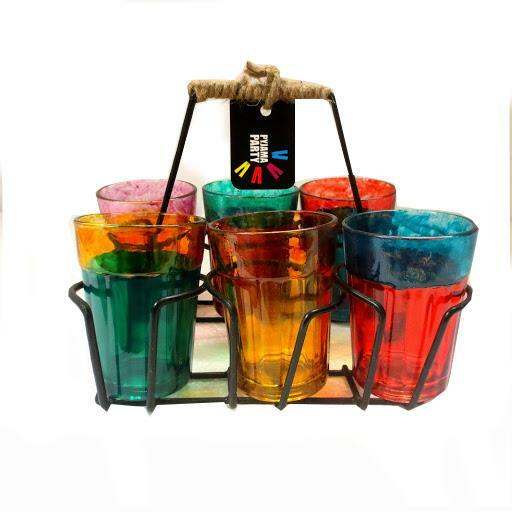 Length: 22 cm Width: 18 cm Height: 16 cm"